Android N has finally got its name. Today a statue was reveled and it was added to the collection Android. The name for Android 7 is Android Nougat. Most of you will be wondering what exactly is Nougat. Well we will quite Wikipedia on that. Nougat is a family of confections made with sugar or honey, roasted nuts (almonds, walnuts, pistachios, hazelnuts, and macadamia nuts are common), whipped egg whites, and sometimes chopped, candied fruit. The consistency of nougat is chewy, and it is used in a variety of candy bars and chocolates. The word nougat comes from Occitan, seemingly from Latin panis nucatus ‘nut bread’ (the late colloquial Latin adjective nucatum means ‘nutted’ or ‘nutty’). Following is the picture of the statue, well to be honest, it seems like a bug-droid standing on some nougat. Turned out to be a big fat disappointment. Well I was expecting something like Nutella or Nutsack may be. 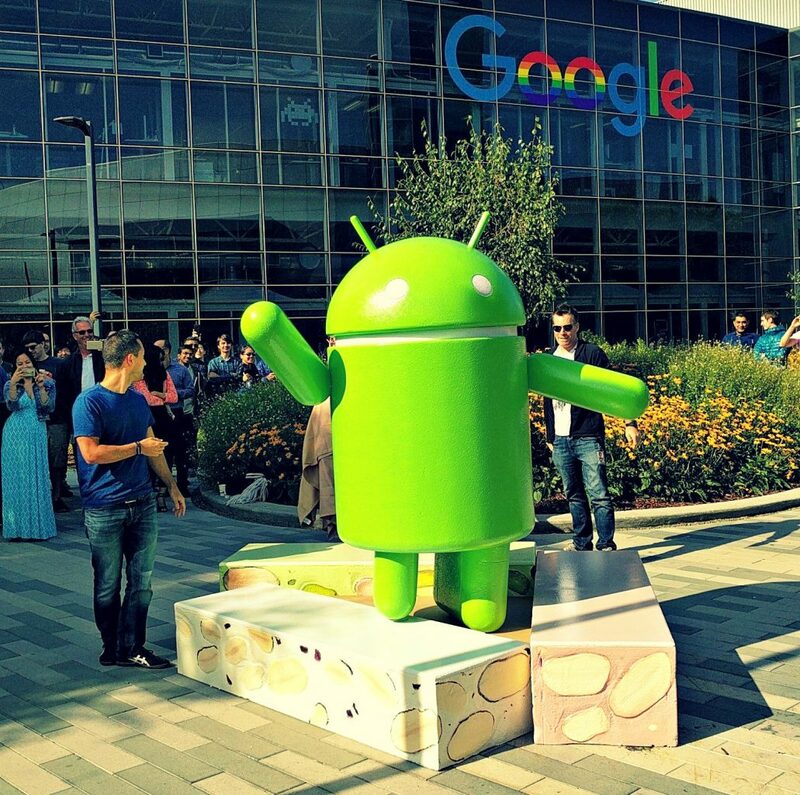 Android is focusing more on quality and their operating system. Android is world most famous operating system. Reason for it being the best out there, is customization that the operating system offers to its users. Android lets the users to flash custom ROMs, Recoveries. Change Launchers, Themes, Messenger, File Manager, Icon Packs and wonder what more. No matter what will be the name of operating system. If they keep on working on making the performance of it better, I guess there is a lot for Android to see in the future, where iOS/Apple losing shares of the market and Android still climbing the stairs at a pace. In the near future, I think Smartphone operating system market will be totally dominated by Android operating system. What is your opinion about this name, is it what you were looking for. What could have been name instead of Android Nougat. Feel free to discuss in the comments.